Are you satisfied with your Staffed Sale Event results? We’re not. We want more for you. Paragon 12 revitalizes automotive dealers’ sales practices, performance and results by training and equipping your sales team with dynamic, outside the box concepts. Adopting Paragon 12 business processes not only improves special event performance but provides a foundation for sustainable success. “Paragon 12 goes against the flow, achieving success by building useful relationships, maintaining transparency, and focusing on dealers’ values. Investing in a relationship with Paragon 12 is a wise decision—paying off not just for isolated sales events, but for the long term. We view and treat every relationship as a true business partnership. – Justin Richey, President, Paragon 12 LLC. Experiencing issues with your sales process flow? Anyone can promise to improve sales practices and results. What makes Paragon 12 unique is that we deliver on our promises. We tap into the buyer’s psychology, leverage innovative thinking, and refuse to take “no” for an answer. Paragon 12’s fine-tuned guest registration form guides your team through a simple process flow that identifies and addresses every possible objection, so they can logically disarm buyers’ defenses that threaten to derail sales. We would love to speak with you about your business objectives. Contact us today. 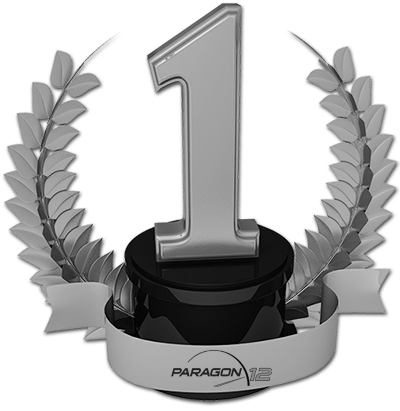 Paragon 12 is the recognized leader in Automotive Dealership Sales Education and Performance Management. We excel where other Sales Training Organizations fail. Our unique P12 Dynamics Sales Performance Analytics allow us to draw a clear picture of your current Sales Performance and reveals all Sales Process deficiencies. We address each of these by implementing a proven accelerated Sales Education Strategy. We improve retention of our Sales Training thru shared interaction and coaching with your sales and management staff while working live customer deals in your showroom. Are You Ready To Supercharge Your Next Sale Event?